Highfield Leadership Academy fell silent on Friday morning as pupils and staff stood together to remember fallen heroes in an Act of Remembrance. 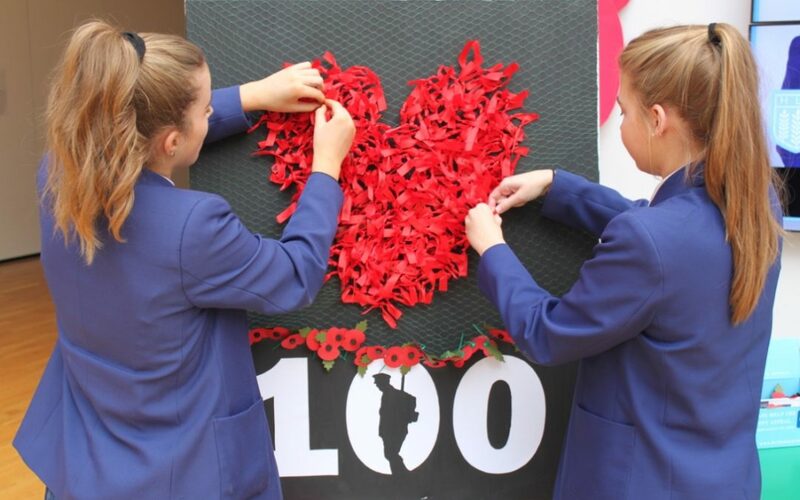 Pupils reflected on the meaning of Remembrance Day and remembered the sacrifices made by those in the armed services during a ceremony at the school. Year 10 pupil Faye Patterson gave a moving rendition of The Last Post on her cornet and representatives from each year group gathered with Executive Principal Helen Mackenzie and Principal Louise Riley to lay wreaths before a Remembrance Day display produced by pupils. 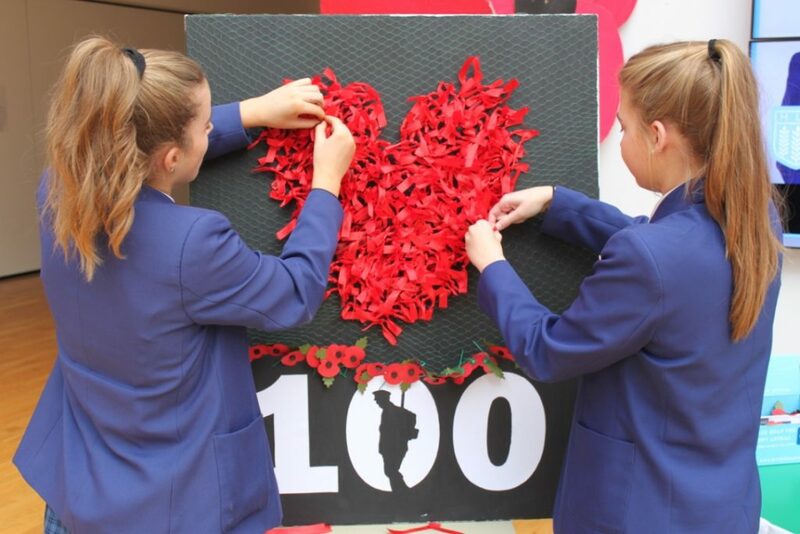 The wreaths included not only the traditional red poppy but, as chosen by the pupils, also purple and white flowers to remember the need for peace and the animals that died in war. Senior Prefects and members of the Student Council also led the period of reflection as the whole school observed a two-minute silence. 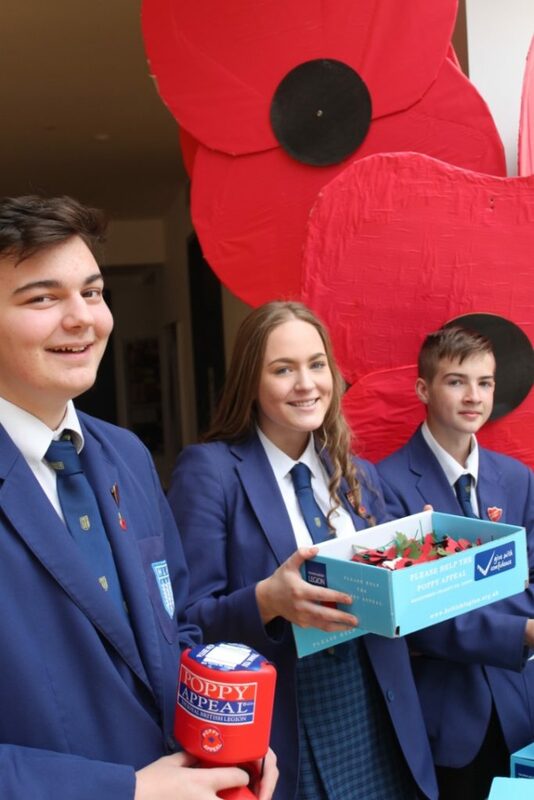 Pupils have participated in the Royal British Legion’s Thank You 100 campaign, which encouraged them to discover how Generation 100 not only made sacrifices for their freedoms but were great innovators in the fields of art, media and medical advances. They also designed peace posters and peace pebbles. 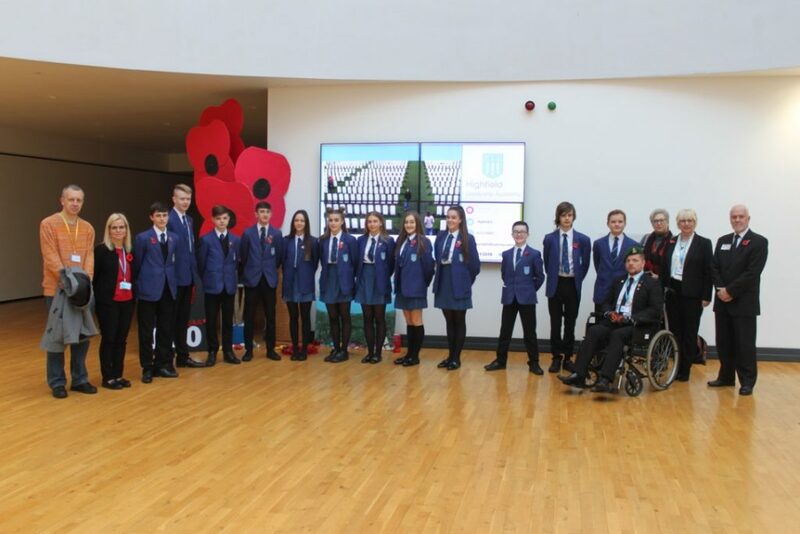 Earlier in the week members of the pupil’s volunteering group, Highfield Helpers, worked with a team from Blackpool Coastal Housing and Blackpool and The Fylde College to deliver a special Silver Surfers Digital Remembrance workshop. On Friday the group also joined the Friends of Highfield Road Park to help plant up to 1,000 knitted poppies at their act of remembrance.